Alchemy Dubs present their eighth release on 7" format, another great collaboration between Ojah and Nikolaj Torp Larsen "Nik Torp", keyboard player from The Specials. 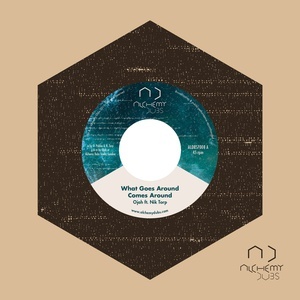 "What Goes Around Comes Around" is a Hammond and melodica version (both played by Nik Torp) of Ojah's "Packy" riddim, that was recorded at Nik's studio back in 2015 and is finally seeing the light. It also features new guitars by Puppa Shan and Javier Martin Boix. On the B side, is a dub version, mixed live in analog by Ojah in classic style.